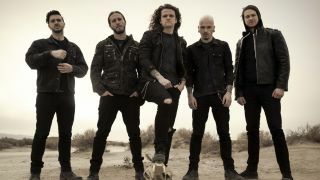 Miss May I will release their fifth album Deathless on August 7, the band have confirmed. The follow-up to 2014’s Rise Of The Lion will be issued via Rise Records and will be available to pre-order from the band’s official site tomorrow (June 17). All orders placed before the album launch will gain instant access to the group’s latest track I.H.E. Frontman Levi Benton says: “Not only have we been working on this record for almost a year, but we recorded it with our old friend Joey Sturgis who did our first two records and really brought out the best in us. The band will head off with the Vans Warped Tour across North America later this week.